Over spring break, I was able to visit my sister, Mrs. Brack, and see her classroom. I love seeing other people’s classrooms and how they are organized. 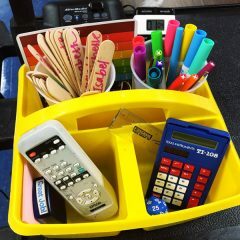 She is not only a fabulous math teacher but crafty and organized. 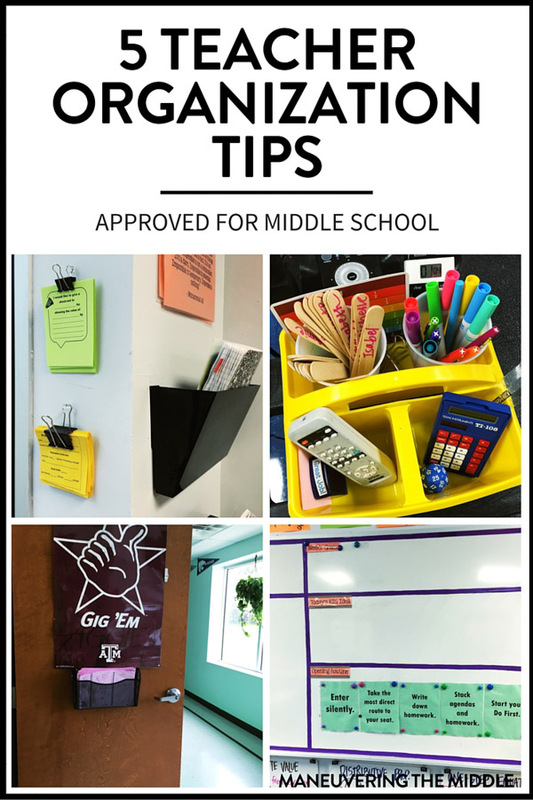 I thought I would share 5 Teacher Organization Tips for Middle School. 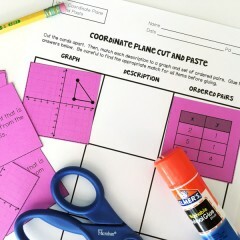 Some of these totally apply to any middle school classroom, but a few are specific to organization for a math teacher. I personally utilized a weekly agenda board in which I made a grid because of my three different preps. I had days of the week on top and the different classes down the side. I would jot down the topic and homework in each box. Mrs. Brack only teaches one prep, so she has created this fabulous daily agenda board to keep organized. It is super easy to set up with Scotch Expressions tape or any type of colorful painters tape. 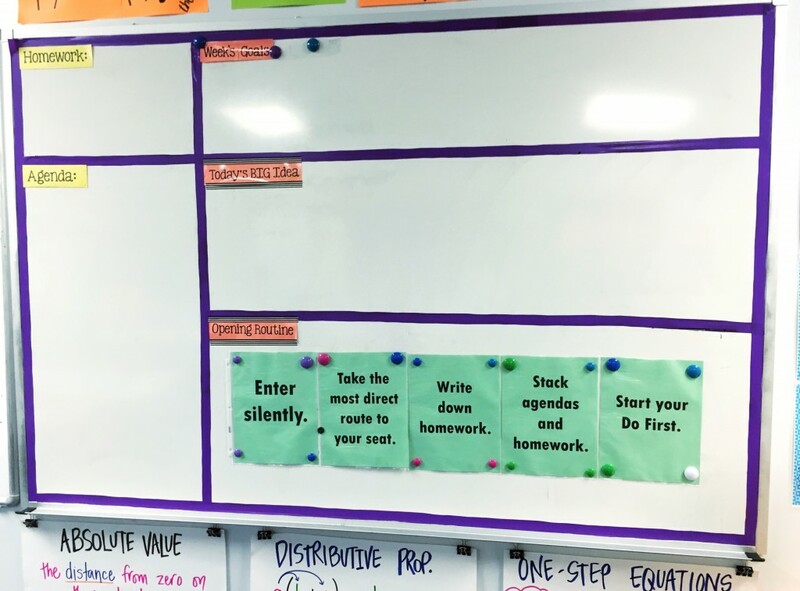 The homework, agenda, and big idea portion will change each day depending on the objective and lesson, while the weekly goals and opening routine remain the same. I love the weekly goals area because it can be content specific or not. These goals can be everything from “85% mastery on the unit test” to “all students working on the warm up when the bell rings”. The opening routine is another organization tip that I think is so genius! Don’t we all have a desired expectation for how students enter the class and begin working immediately. That is a teacher’s dream come true. There would be no more students at the pencil sharpener or wandering the classroom. She posted these expectations and is able to quickly refer to them without even saying a word…beautiful. “Take the most direct route to your seat” is a game changer for me. How many times do you have students wandering the room “on their way to their seat”? I loved standing at the door and greeting my students. 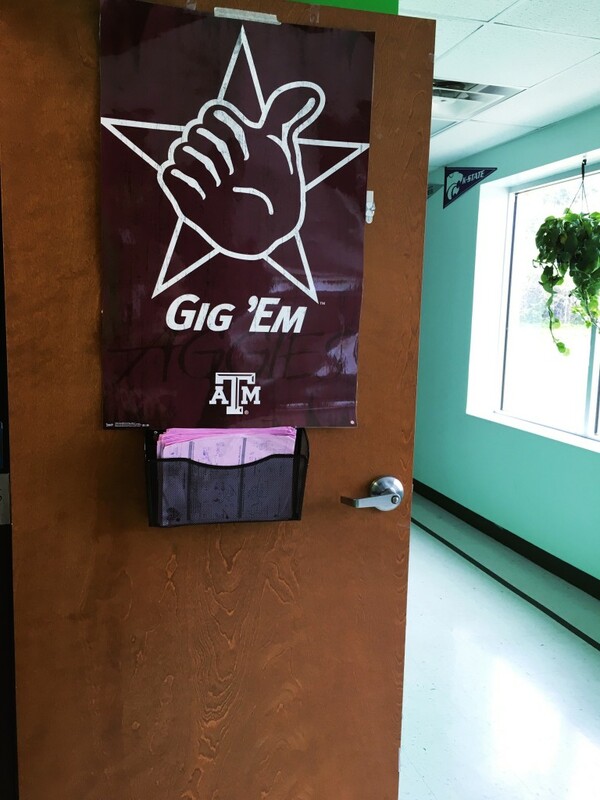 It was multi-purpose: I got to build rapport with them, ask about football games and club events, see who came in together, and what each person’s attitude was for the day, plus I was able to monitor the hallways as instructed. I was fortunate to have a table near the entry and taught students to pick up any materials as they entered. In my sister’s case, her classroom is tiny. She installed a metal hanging folder to her door. She used two nails, but command hooks would be less invasive. She places any handouts for the day in the hanging pocket. A win-win, being able to greet the students and have them pick up materials in a small space. One of my favorite school supplies is the LARGE binder clip. It is big enough to hold an enormous amount of papers, easy enough to spot on a messy desk, and in general, gives off the impression, “don’t touch this”. ???? 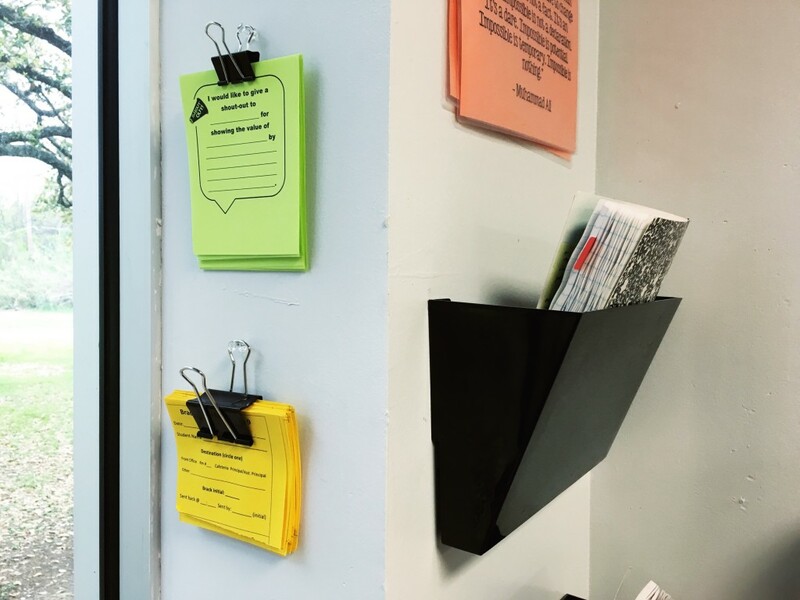 Mrs. Brack took her most frequently used forms, copied them on colored paper, and used a binder clip and push pin to hang them in an easy-to-reach location. 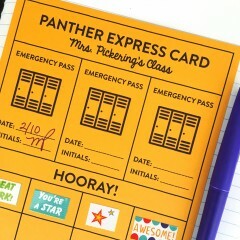 Common forms might include: hall passes, tutorial passes, classroom incentive slips, detention slips, etc. The document camera area can be such a mess with the various supplies and papers to keep organized. 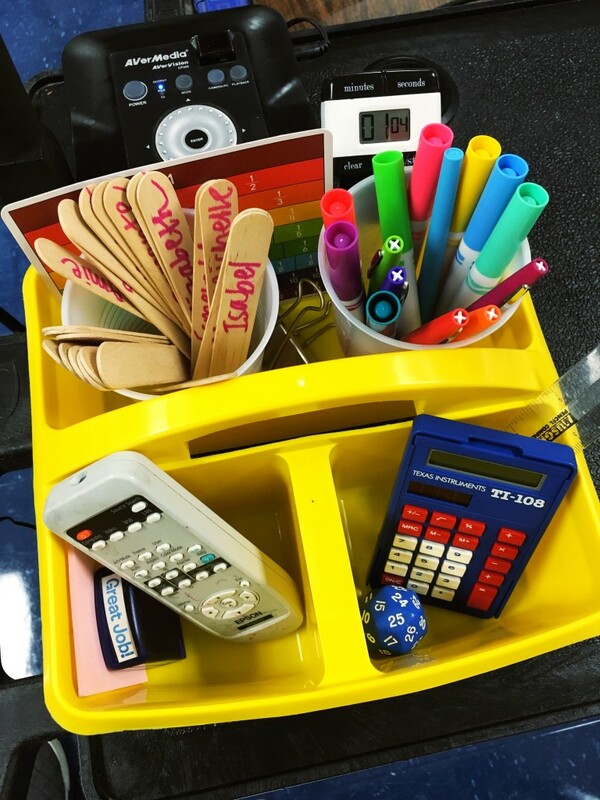 We used this simple desk caddy from Mardel’s and plastic cups to keep everything together. I love how these are super easy to set up and make use of items you likely have lying around the classroom. If not, Amazon Prime will come to the rescue. I’m not sure what I would do without free two-day shipping. 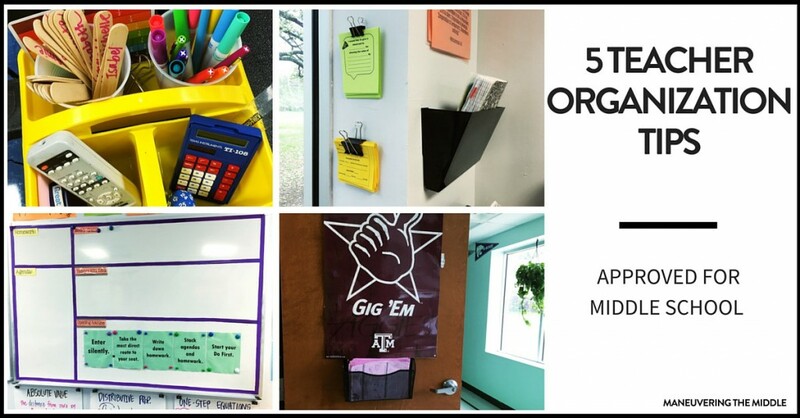 What other great teacher organization tips do you have? I love seeing others teachers’ classrooms and discovering new ideas that work! Leave a comment with your ideas. 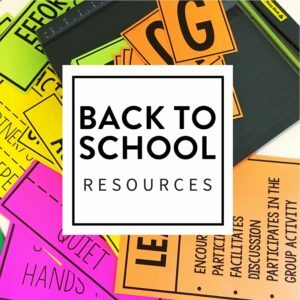 Awesome organization ideas! I have purchased an abundant of TPT products that I love, but I am having trouble storing them and keeping them organized. For instance, I have a lot of activities with a full page of instruction with task cards that I have laminated. 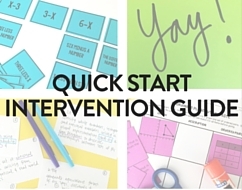 I also have numerous 8×10 station cards, tic tac toe boards, scavenger hunts, and math libs (all great activities and everything is laminated) and I can easily store these in my one tall cabinet nicely labeled. 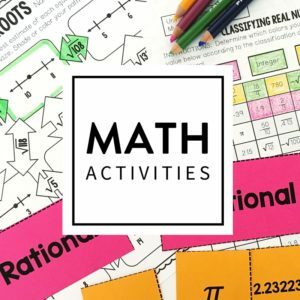 However, activities with task cards and boards games (8 x 10 laminated piece of paper with lots of little cards as questions) are sitting in a large ziploc bag labeled in a one large tub. How can I store items like this so they are easy to find and are not just in one bug tub? Any suggestions are welcomed. Stacey, thanks so much for your comment and question. You sound so organized! These are a little more pricey, but I have heard great things about these “project cases” that you can get on amazon (affiliate link) or at the office supply store. They hold the larger pieces, but also fit in a file cabinet. Win-win! Note- if you order online be sure to check the dimensions, I found several that were 12 x 12, which wont fit in typical file cabinet. You can get an over-the-door rack (the kind with one or more bars instead of hooks), reinforce a corner of the bag with packing tape and punch a hole through the reinforcement, and then hook them onto the rack with S-hooks. They are out of the way and yet quite visible. Also, they won’t slid under each other. I use this for pair-work games (lots of pieces, don’t weigh much), although I had to get a stick-on towel rack and put it on the side of my file cabinet since my only door opens out to the outside. 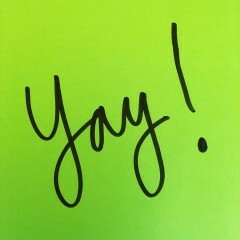 I use these envelopes to store small cards (task cards). Punch holes in the envelopes, place the cards inside, and store in the unit binder. These may work well too. 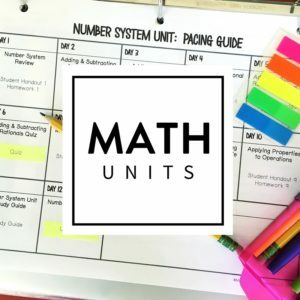 I noticed you have the kids write down the homework at the beginning of the class, which would make it much easier for the teacher, but I have found if I do that they try to do it in class, instead of focusing on class work. Do you have that problem, and if so, how do deal with that? Hi Gail! I have done it several different ways, but the most successful was when students had a school wide agenda. 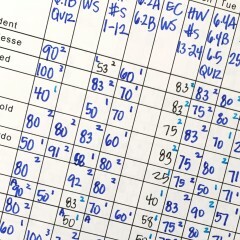 They would spend warm up time on Monday writing down the homework assignments in their agenda for the week. Hope that helps! Yes, I think I’m going to try it that way. Thank you for sharing all this great information. It is hard to find anything online about the middle school classroom. I appreciate your willingness to share. Assign Homework at the end of the day instead. That way they can’t do it while doing classwork. Still have them qrite it down at the beginnig of class, but then give it to them at the end. That is an idea! I liked to give students time to get started on it, because I found they were more likely to have it complete the next day. I absolutely love these tips! I waste at least 3-5 min placing seat work on my students desks after work for the day before so it’s there when they arrive for class. I am certainly buying some command strips and a door basket tomorrow and putting all the seat work there. My mind is blown… I already stand at the door so, this just adds to the convenience. I also like the caddy holding all of the important items a teacher needs throughout the day. I have an extra caddy in my room, so i’ll implement that organizational tip tomorrow! Thank you for sharing! She must teach at a charter school :). 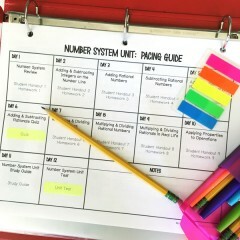 I (along with every teacher at my charter school) had the EXACT same strategies and organization tools. So funny to know that many charter schools nationwide have very similar procedures. 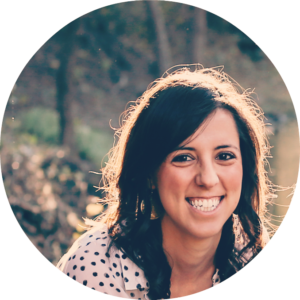 I still use the same tools and tips even though I moved away from the charter school life. LOVE it. I am wondering what kind of markers will write on windows and then can be erased by rubbing off. Do you know of a brand that works? I have only tried Expo brand. Let me know if you find another that works well. Those binder clips for hanging forms is really a great idea, thank you for enlightening me.